Jesselton Residences is located right in the heart of Kota Kinabalu's Central Business District. Within walking distance are all the major shopping malls, hotels, banking districts and corporate offices. Not to mention the main ferry terminal where tourists embark and disembark to neighboring islands is just right next door. From KKIA it takes around 10 to 15 minutes journey. 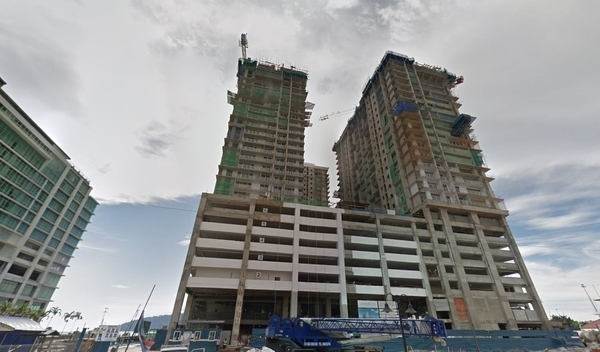 Jesselton Mall below the residences will cater for the daily needs of the residents of Jesselton Residences. Apart for that, residents may walk next door to Suria Shopping Mall which is a much larger mall with departmental stores, cinemas, and supermarkets. Gleneagles Hospital which is the newest private hospital in Sabah is only 5 minutes drive away. Lastly, the new Sabah International Convention Center which can house 6000 pax will only be 3 mins drive away from Jesselton Residences.